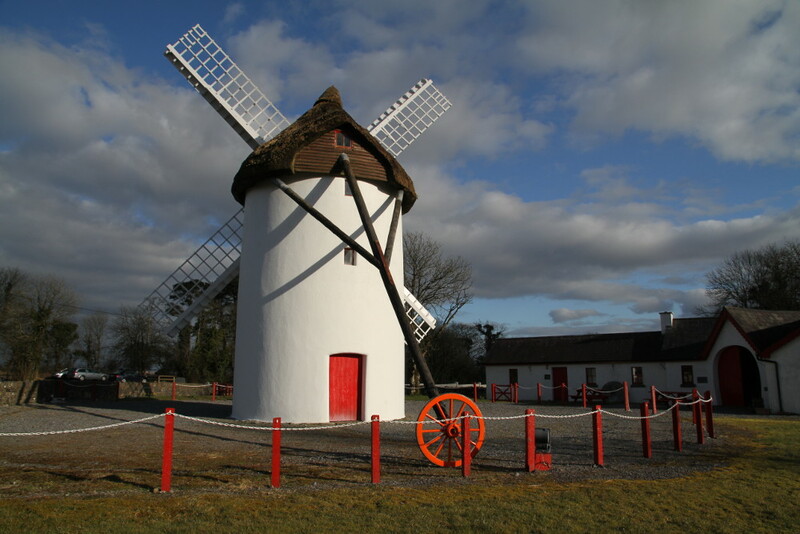 Windmill in Elphin (County Roscommon) was built in1730s, by Edward Synge, the bishop of Elphin. 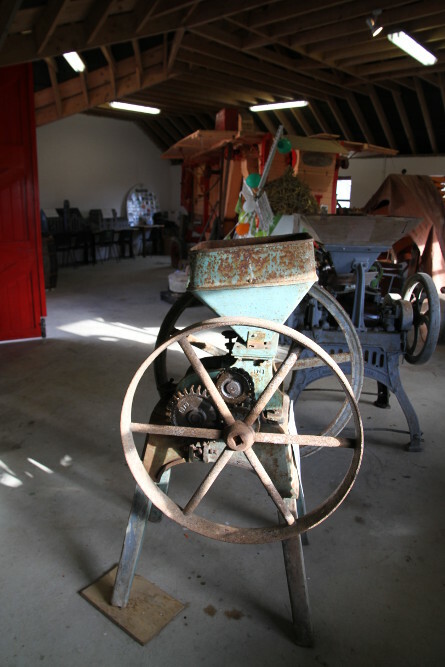 It has been in use for about 100 years and served to the local community for griding the oats, wheat or barley into flour. 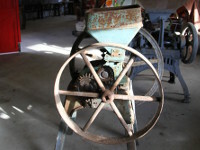 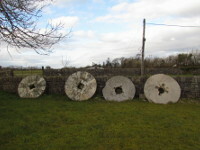 It could be also used for milling the flax or corn. 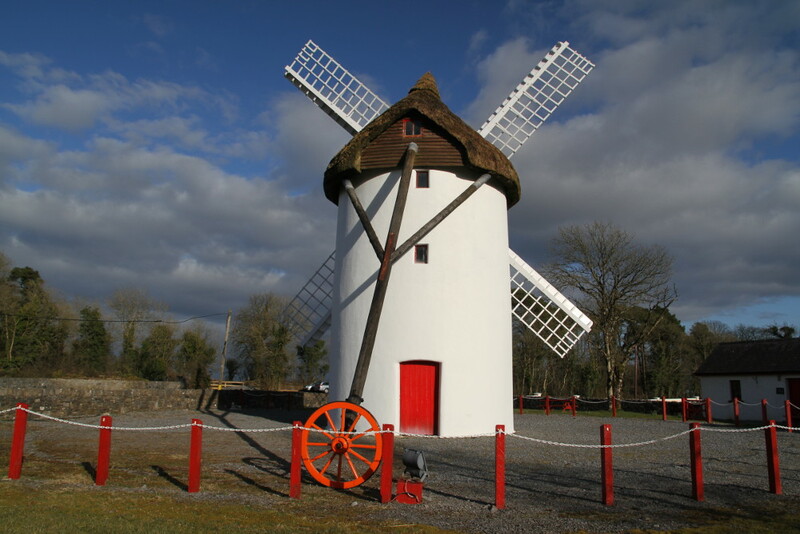 Sometime after the end of Napoleonic Wars (1815), when flour prices dropped down windmill was abandoned and began to fell into disrepair. 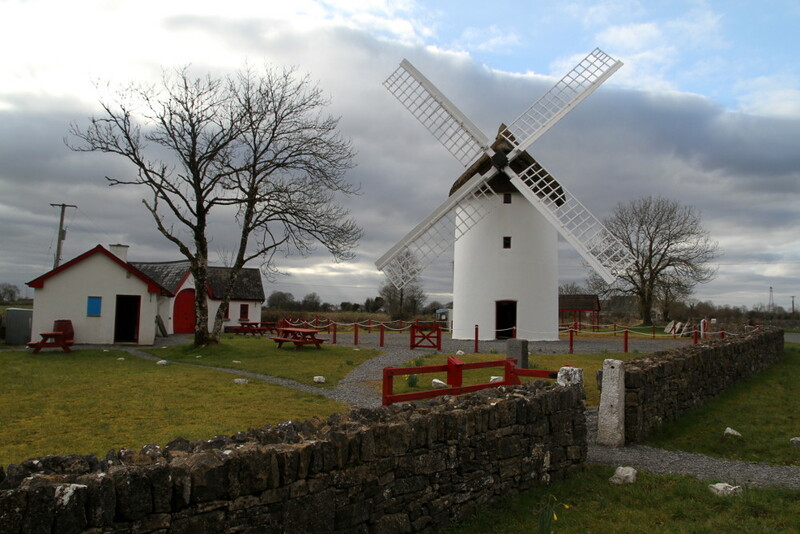 In 1992, local community of Elphin decided to restore ruined and roofless windmill. 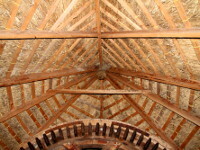 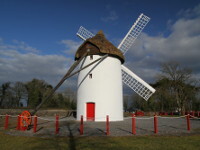 They raised funds and extensive renovation (under the eye of industrial archaeologist, Mr Fred Hammond) began in 1996. 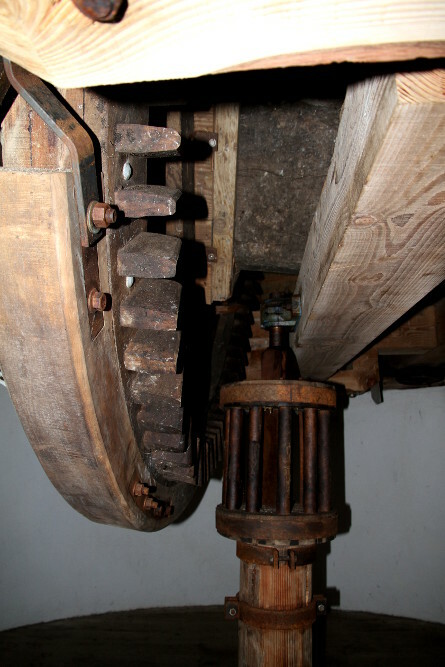 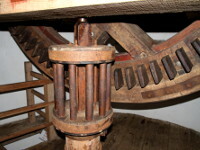 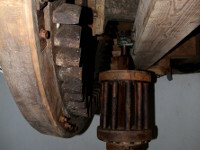 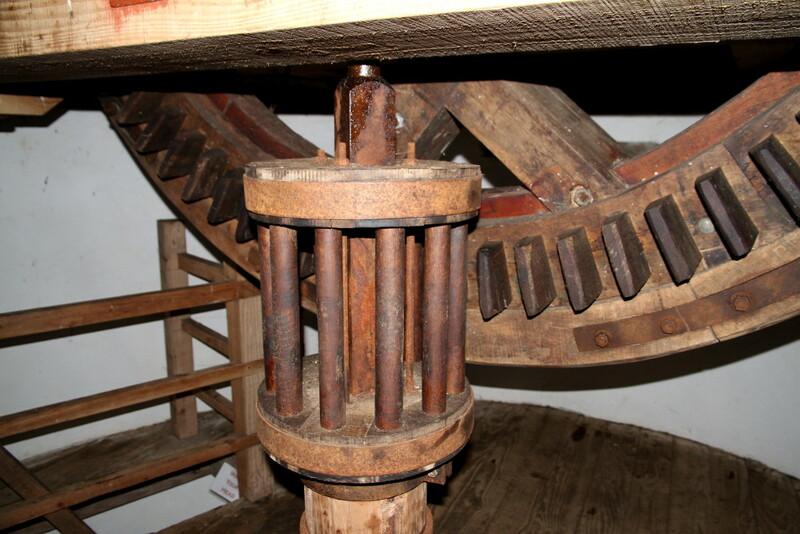 All elements of the windmill mechanism are made of timber as they were originally. 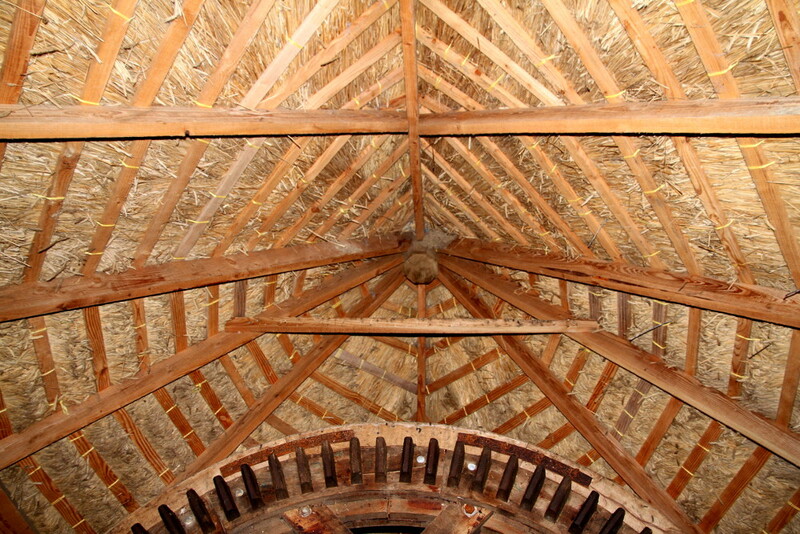 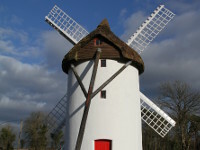 It has a thatched rotary roof facilitating to catch the wind for its sails. 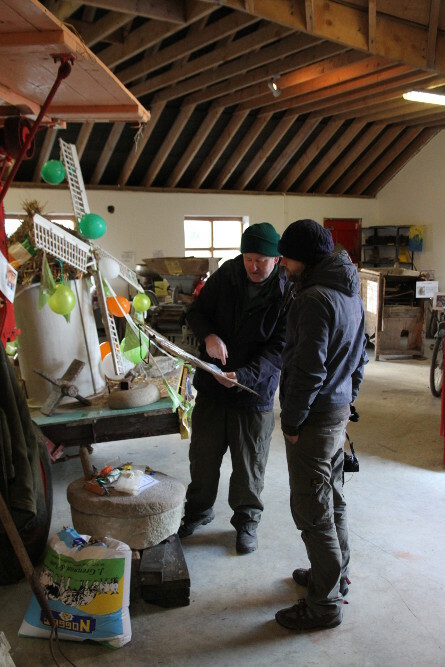 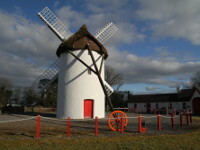 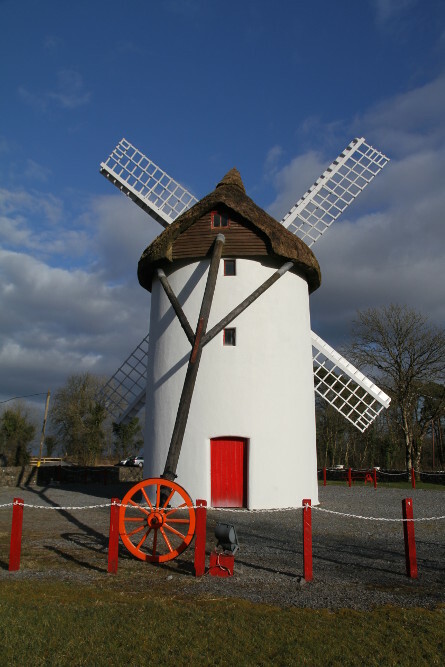 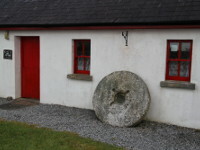 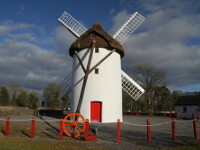 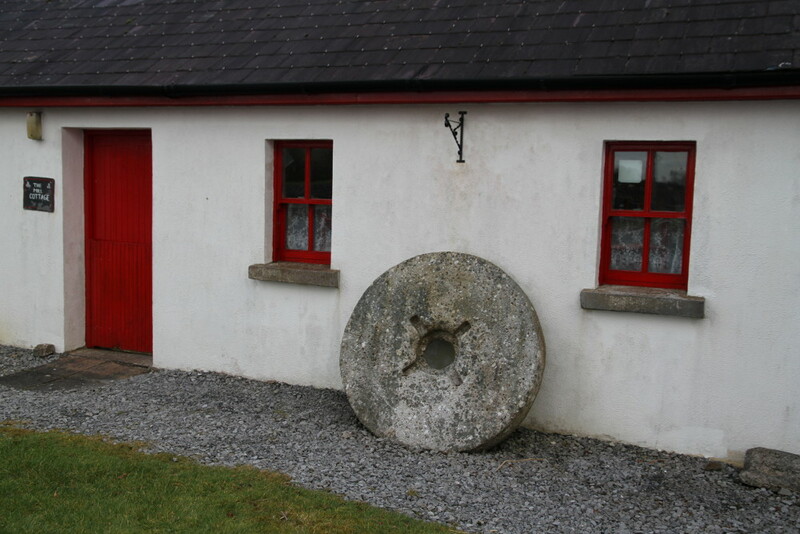 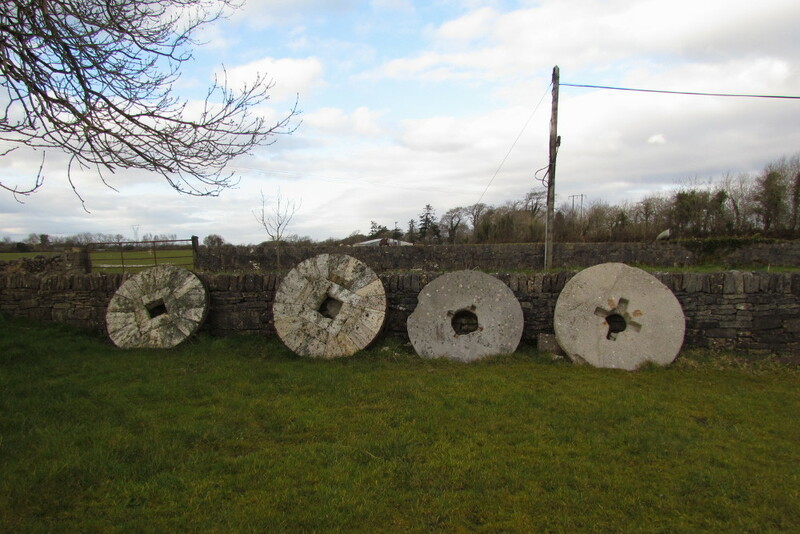 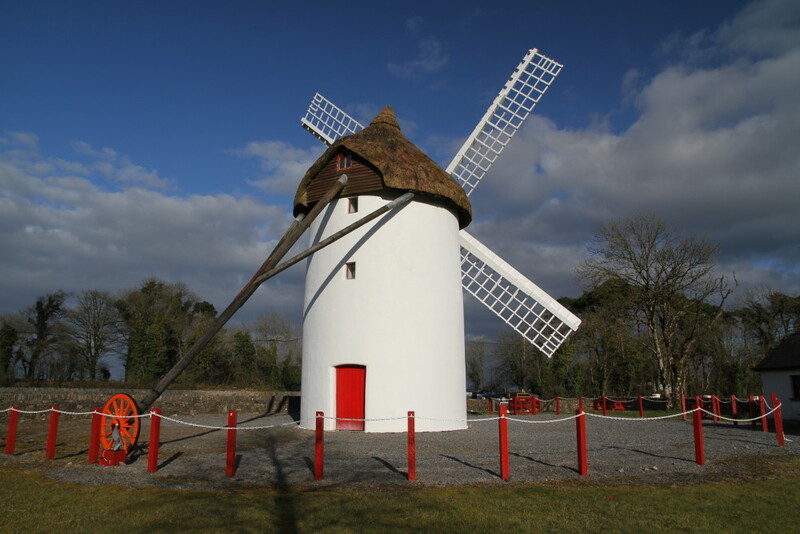 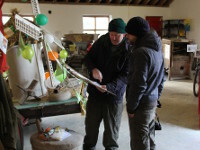 In 2000, Elphin Windmill was open to the public by irish actor, Gabriel Byrne. 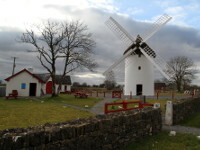 Visitor center and guided tours are run by local volunteers who are happy to share the information about this windmill, surrounding area and local history. 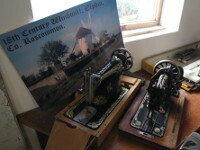 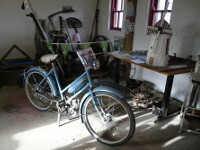 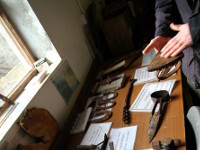 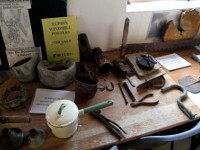 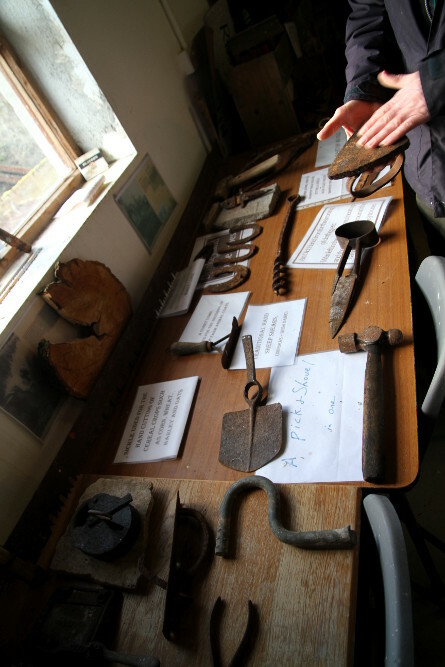 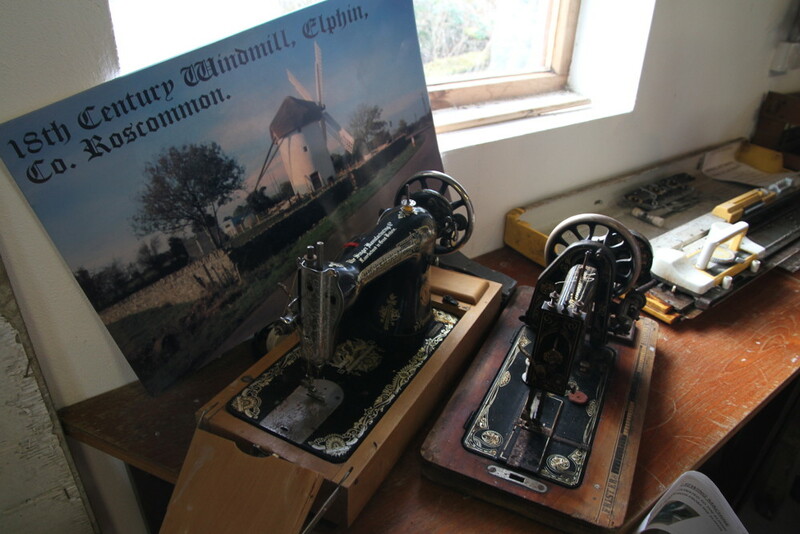 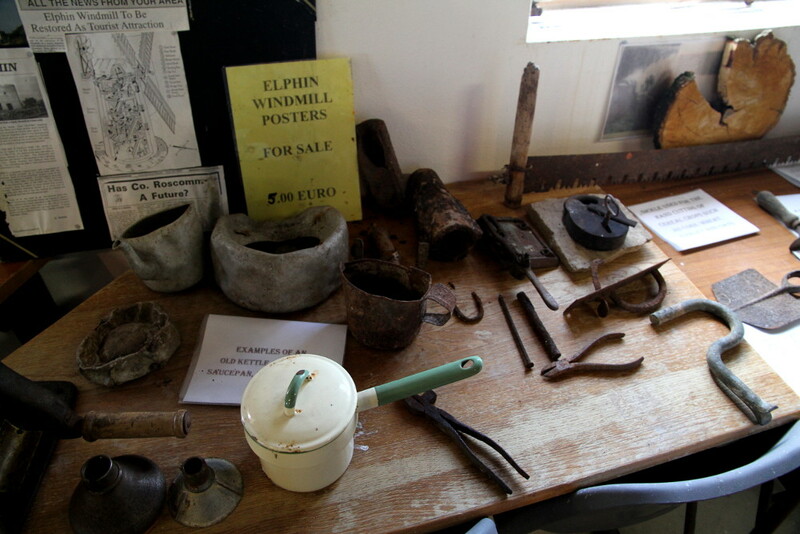 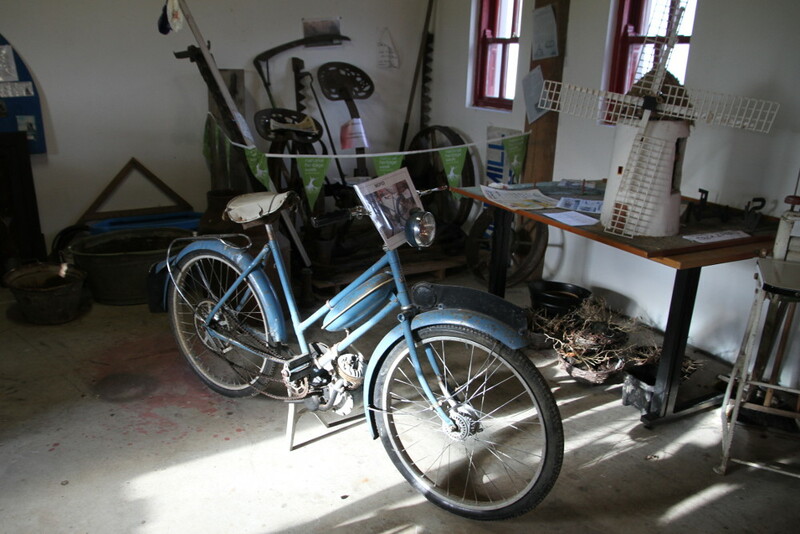 There is also small museum dedicated to the rural life, which shows tools and everyday items used in the past.